A researcher at the University of California, Los Angeles Jonsson Comprehensive Cancer Center has helped develop a combination drug therapy that shows promise in extending the lives of people with metastatic melanoma. The new therapy also accomplishes this result without the side effect of a secondary skin cancer seen in some patients prescribed only one of the drugs. A release from the university notes that an estimated 70,000 new cases of melanoma are diagnosed each year in the United States. Of those, 8,000 people will eventually die of the disease when the cancer spreads to other parts of their bodies. About half the people with this metastatic melanoma, or 4,000 people a year, have a mutated protein called BRAF mutation. In the new study co-authored by Dr. Antoni Ribas, UCLA professor of medicine and a member of the Jonsson Cancer Center, researchers found that the BRAF mutation gives melanoma the signal to grow continuously as a cancer. This mutation can be treated with the recently FDA-approved drug Zelboraf. But Zelboraf taken by itself cannot completely block that signal. 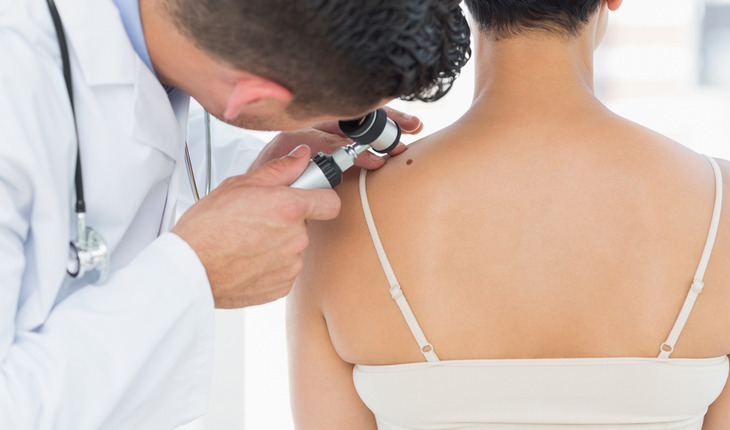 The study showed that when the experimental drug cobimetinib is added, the combination slows the growth of the melanoma. Combining cobimetinib with Zelboraf also decreased incidence of secondary skin cancer, the study showed. The study, which was presented during the 2014 European Society for Medical Oncology conference in Madrid in late September ,was published online in October 2014 by The New England Journal of Medicine and will appear in the journal’s November print edition. Researchers had previously discovered that 25 percent of patients who’d been given Zelboraf alone had developed a secondary cancer. The scientific basis of this combination is based on prior studies by Dr. Roger Lo, associate professor of medicine specializing in dermatology and JCCC member, who had described the mechanisms of how melanoma became resistant to Zelboraf and how the addition of a drug like cobimetinib would prevent melanoma from becoming resistant to the drugs. Results of the study also showed the drug combination extended the duration of response to the drug from a median of six months with Zelboraf alone to nine months with the combination.